1. 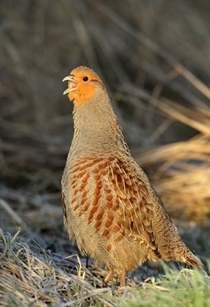 Ask for advice tailored to your land before making any attempt to re-introduce grey partridges. 2. Do not re-introduce grey partridges if you have over two pairs per 100 hectares on at least 400 hectares. Aim for a recovery project instead. 3. Before starting your re-introduction make sure you improve the habitat, intensify predator management and provide feeders. 4. Where there are none or very few grey partridges still present, fostering young greys to wild-living pairs and parent-reared family groups is the best strategy to start with. 5. Reduce the risk of accidental shooting and disturbance to grey partridges during the breeding season.